Every morning on my walk from Cannon Street station to the office i have to resist the fantastic smell of cooked bacon that wafts from the butchers shop on Wattling street. 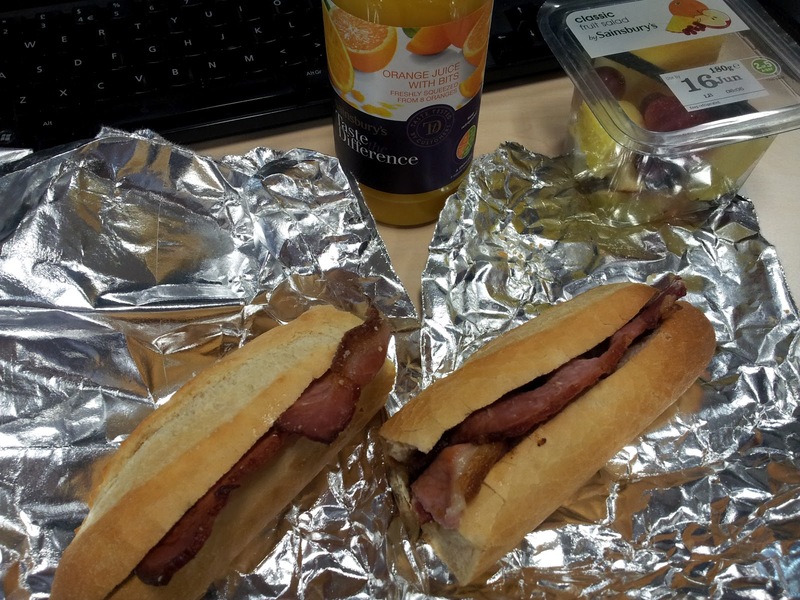 The aroma of freshly cooked bacon is so enticing that sometimes i just cant resist and find myself drawn into the shop to hand over £2.50 for what i believe to be the best bacon roll in London. The secret seems to be that before the four slices of bacon are expertly inserted into a freshly baked warm baguette, they are first cooked in the juices of other meats, to give the bacon a really meaty, juicy, slightly spicy flavour that is totally out of this world!